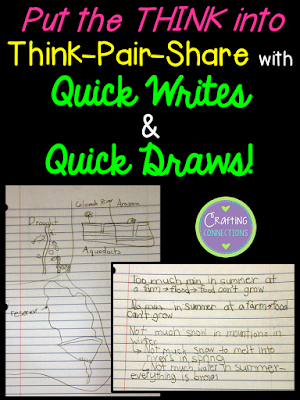 Putting the "Think" into Think-Pair-Share! 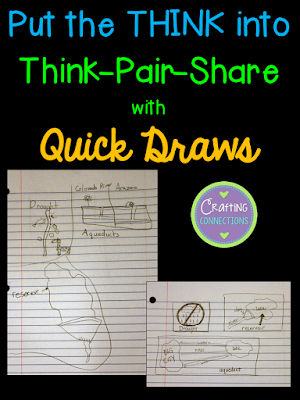 Do you use the Think-Pair-Share engagement strategy in your classroom? After posing a question, you tell students to think of an answer, turn to a nearby partner (pair), and students share and compare their responses. For me, the hardest part of this strategy is providing the appropriate amount of think time. In an effort to keep kids on-task and the lesson moving, I know that I often do not provide enough think time, especially for my ELLs. 1. The teacher poses a question or task. How can weather affect our water and food supply? 2. Students are given a certain amount of time to jot down a response. 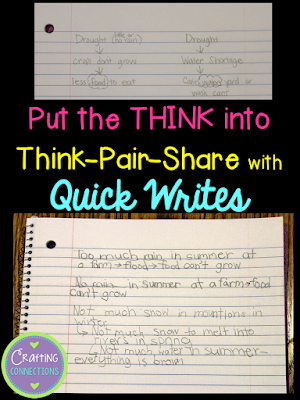 For the next three minutes, jot down your reflections on how weather can affect our water and food supply. Most of the time, a list of phrases is fine with me. In the book, the authors mention the option of writing a word bank of required words on the board (like "drought") so that students are required to interact with key vocabulary. 3. When the 3 minutes have passed, instruct students to turn to a nearby classmate and share and compare their responses. I especially like to do these to review vocabulary words. 2. Students are given a certain amount of time to draw or sketch something in a way that illustrates the meanings of the words. Write these words in your notebook. For the next four minutes, draw quick sketches that illustrate the meanings of the words. 3. When the 4 minutes have passed, instruct students to turn to a nearby classmate and share and compare their quick drawings. Students generally enjoy these engaging activities... especially the Quick Draws. An added benefit of using these strategies is that they can serve as a type of formative assessment or exit ticket! You can monitor which students seem to be having difficulty with the task and/or which students show full understanding and which students show partial understanding. How simple, but how important!! 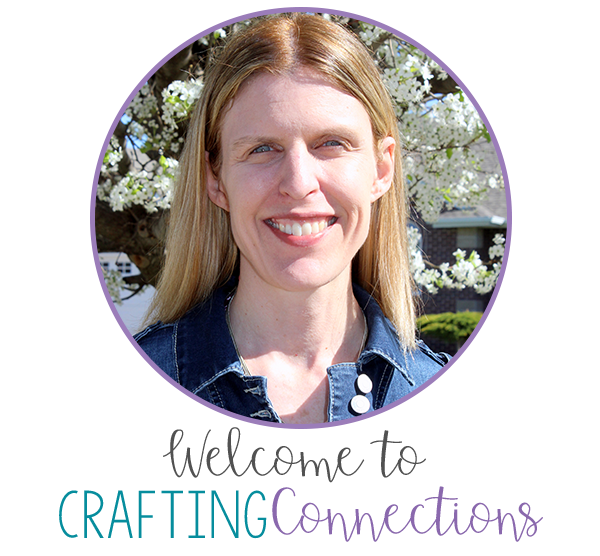 I can see how this would be helpful for all students, especially ELs by giving them time as well as preparing them to share. I would be able to walk around and notice who was struggling and help them out prior to them pairing and sharing. Thanks Deb!! Thank you for such a quick & easy tip to try! For younger students, I think it will help the more reserved students find their voice.